What a catchy title for a recipe! My in-laws are in town to see Legend of Sleepy Hollow and I love having them here. My mother-in-law, Phyllis, is a reader, knitter, master quilter, makes wonderful meals, drinks wine with me and is lovely with my children. My father-in-law is very, very smart, loves to talk politics, and loves his son, my husband, deeply. I scored well in this regard. Having them come to town is a good time to try new recipes. My husband's family spent time in Malaysia and Sierra Leone as part of the Peace Corps. so they enjoy a wide variety of cuisines and are happy to eat vegetarian. A few years ago, Phyllis, gave me Fresh from the Vegetarian Slow Cooker; 200 recipes for Healthy and Hearty One-Pot Meals That Are Ready When You Are by Robin Robertson. I've made several recipes from this book and they've all been easy and tasty. This one is my second favorite from this book. My fav. is a sweet potato chili. 1. Heat oil in a large saute pan over medium heat. Add the carrots and onion, cover, and cook until softened, about 5 minutes. Add the garlic, curry powder, coriander, and cayenne, stirring to coat. 2. Transfer the vegetable mixture to a 3 1/2 -to 4-quart slow cooker. 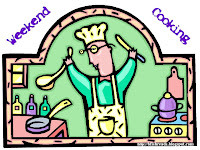 Add the potatoes, green beans, chickpeas, tomatoes, and stock; cover and cook on Low for 6-8 hours. 3. Just before serving, stir in the peas and coconut milk and season with salt. Taste to adjust the seasonings. I used small potatoes from my mother's garden, cut into fourths and I didn't peel them. I added a second can of chickpeas because we love them. I served it over Jasmine rice with sprinkles of cilantro on top. It was yummy-everyone loved it, even the teenage son! Check it out; the author has a food blog, Vegan Planet. Right now she is hosting a giveaway of cookbooks! I hope everyone is having a peaceful Saturday...it is 80 degrees here and I'm going outside to either read or knit! 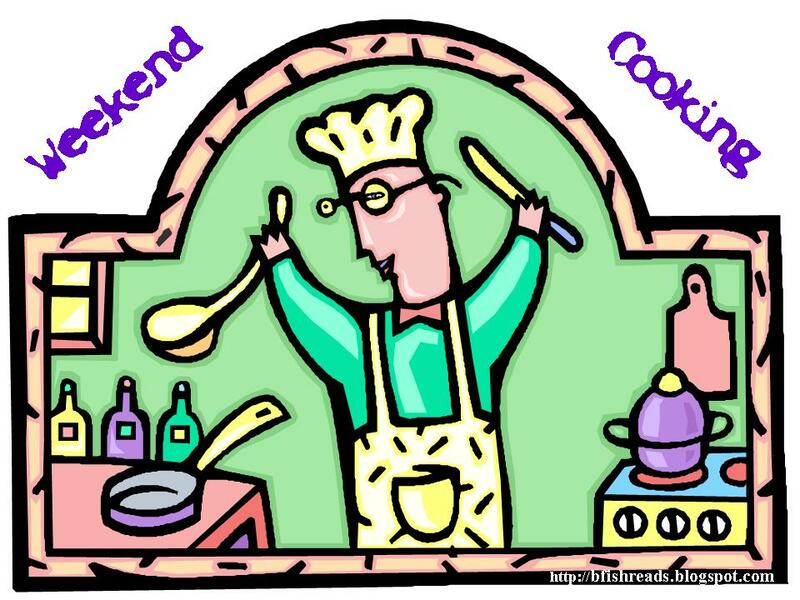 This post is linked to Weekend Cooking at Beth Fish Reads...pop over and see what other delicious food-related posts she has listed.